The vaccination injury attorneys at the Drug Law Center remain committed to representing our clients who have been harmed by vaccines to ensure they receive financial compensation. Vaccinations are biologically prepared materials that provide acquired immunity to prevent the spread of life-threatening diseases that serve the public good at providing an effective and safe way to combat contagions. However, they are not without their controversy. While vaccines provide a safety net to the health and well-being of the population, some individuals develop severe adverse reactions when the vaccine is given orally, through an injection, or by aerosol. In an effort to ensure public safety, the U.S. government developed the National Vaccine Injury Compensation Program to provide financial recompense to those who suffered serious harm after receiving a vaccine. Immunizing the population is certainly not a new idea. The practice dates back to the 18th century when Edward Jenner inoculated a young boy with cowpox (vaccinia virus) to make his body immune to smallpox. A few years later, scientists developed a smallpox vaccine that was slowly eradicated in areas of the globe up until 1979. No other outbreaks have occurred since then. Certainly, the controversy about vaccinations and autism started in 1998, when Dr. Andrew Wakefield, first published a paper in the Lancet showing a correlation between receiving vaccinations in the development of autism. The article went viral around the world where both parents and pediatricians were instilled with fear. It was not until the end of 2012 after dozens of studies involving millions of children revealed that there was no causal relationship existing between receiving vaccinations and developing autism. Even though the correlation between the two was proven not to exist, 25 percent of all parents United States still believe that some vaccinations can develop autism in even the healthiest child. Since the article was first published, nearly two percent of all parents still choose not to have their children vaccinated for either philosophical or religious reasons. Most medical and scientific experts believe there is no correlation vaccines and autism. Diphtheria, Tetanus, and Acellular Pertussis Vaccine – Common side effects include fever, injection site soreness Injection site swelling/redness, fever, vomiting, seizures, high fever, non-stop crying, and poor appetite. Hepatitis A Vaccine – Individuals who are given hepatitis A vaccinations can develop minor problems that include: tiredness, headaches, low-grade fever, redness, or soreness at the injection site. The side effects typically last for a day or two. Hepatitis B Vaccination – Individuals who have been given the hepatitis B vaccination shot usually have injection site soreness and temperatures that can climb to 99.9 degrees Fahrenheit degrees or higher. Human Papilloma Virus Vaccination – Males and females receiving the HPV vaccination can develop common serious side effects that include redness, swelling, or soreness at the injection site, high fevers, and headaches. Inactivated Influenza Vaccine – Typically individuals who are given the flu shot can develop common side effects include hoarseness, injection site swelling/redness, itchy, red, or sore eyes, aches, fever, and cough. Measles Mumps and Rubella (MMR) Vaccines – The MMR vaccination can cause unexpected death in rare cases. Other common side effects include fever, swollen glands, deafness, permanent brain damage, coma, long-term seizures, lowered consciousness, temporary pain, temporary low platelet count, seizures, and a mild rash. Any individual suffering serious life-threatening allergies to the components used to formulate the vaccination. Women who are pregnant or considering becoming pregnant in the months prior to receiving a vaccination. Children who have collapsed or had a seizure after receiving dosages of a vaccination, especially DTP (diphtheria, tetanus, and pertussis). Individuals who have developed GBS (Guillain-Barré syndrome). Individuals who have received treatment with medications that affect the immune system including oral steroids at high doses. The U.S. Food and Drug Administration routinely monitors vaccination products for their safety and efficacy based on studies and rigorous safety testing to keep the public safe. Receiving the rubella vaccination can be crucial to every pregnant woman. The CDC states that “even before becoming pregnant, make sure you are up-to-date on all your vaccines. This will protect you and your child against serious diseases. For example, rubella is a contagious disease that can be very dangerous if you get it while you are pregnant. In fact, they can cause a miscarriage or serious birth defects. The CDC recommends that mothers receive a pre-pregnancy blood test to determine their immunity levels against measles, mumps, and rubella. 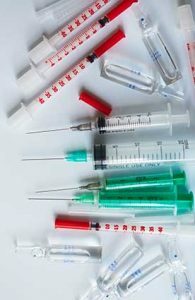 The vaccination injury attorneys at the Drug Law Center specialize in the complexities of handling a compensation case involving mandatory vaccinations that caused injury. Our team of dedicated attorneys can ensure that you recover monetary compensation to reimburse you for your damages including medical expenses, lost wages, ongoing medical care, pain, suffering and mental anguish. If you have been injured or lost a loved one due to a dangerous vaccination, our team of dedicated attorneys can help. We are currently postponing payment of our fees until after we have settled your financial recovery case. Our law firm provides a “no-win/no fee” guarantee to our clients if we are unable to secure financial compensation on your behalf or win your case at trial. Contact us today to schedule a complimentary case evaluation to discuss the merits of your claim.